Aerospace - Industries - ZT | Zippertubing Co. Define your leadership in the Aerospace industry with the utmost quality in custom engineering. The aerospace industry resides on the cutting edge of evolving technology. This evolution leads to many challenges that can inhibit the progress of developments in the aerospace industry. For decades, The Zippertubing® Company has provided reliable, custom-engineered, manufactured solutions to aircraft and spacecraft manufacturing companies of all sizes. Our products will meet requirements for the most demanding environments, including flame resistance, extreme temperatures, high- to low-abrasion protection, minimal outgassing, and more. 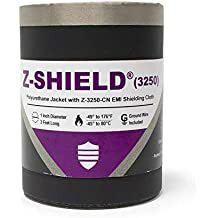 Wrap-around or customized EMI shields become a necessity to ensure hardware performance and are required for high-powered transmitters, sensitive electronics, and everything in between. Here are just some of the products we have related to the Aerospace industry! The Zippertubing® Company offers a vast line of proven products that meet the strict aerospace and astronautics requirements. Our variety of durable, flexible, lightweight materials provide reliable, quality customized solutions for all parts of the aerospace industry. Limitless applications. Trustworthy Aerospace Solutions. 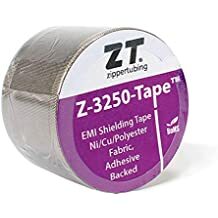 The Zippertubing® Company offers a wide assortment of lightweight, metalized fabric EMI shielding products that allow flexibility and durability in high-pressure areas. We also offer other types of lightweight materials to avoid costly and time-consuming re-engineering. These products will surely assist in the dependability of your company’s aircraft or spacecraft. Why use Zippertubing's Cable Management products in the Aerospace Industry? Thermal protection for ground support equipment. EMI shielding for launch tower umbilical cables. EMI shielding tape for additional RF protection. Cable repair per Navair 01-1A-505-1 (505). Environmentally-sealed cable repairs with and without EMI shielding integration. Custom EMI shields and antenna covers for test equipment. Cable bundling and abrasion protection for antenna test ranges. Lightweight and flexible EMI shields for aircraft, UAVs, and satellites.